With a Tektro Auriga Comp hydraulic braking system, 27 speed shifting gears, and 26” Maxis Ardent tyres, the VooDoo bike offers solid construction, and great form. So, regardless of where you are mountain biking, or what kind of terrain you are riding on, there are several great features the bike offers. quality built bike, with quality parts. So, whatever features you are looking for, and whatever kind of ride you are hoping for, the VooDoo Hoodoo is going to deliver for bikers. minor difficulties in shifting when going up a mountain biking trail was a complaint made by one customer as well. Other than these minor issues, the VooDoo is a highly rated bike by bikers who have purchased it. Although there are a few drawbacks which must be considered, the pros outweigh the cons with this mountain bicycle . It offers a smooth gear shift, great traction, ease of handle, and is a great looking bike. 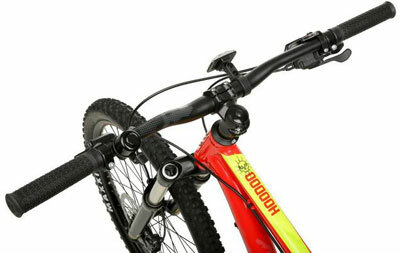 So when choosing a new mountain bike, no matter where you choose to go biking, customers will find that the VooDoo bike is a great brand to consider, and a trusted brand by many mountain bikers. 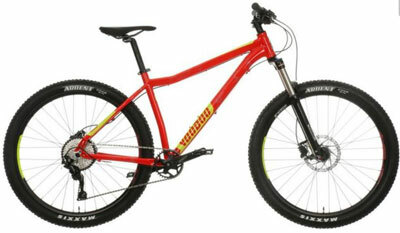 Find more reviews about the VooDoo Hoodoo Mountain Bike on Halfords here.